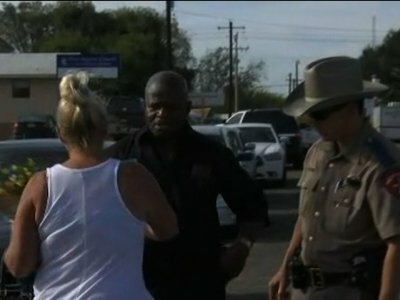 SUTHERLAND SPRINGS, Texas (AP) — The gunman who killed 26 people at a small-town Texas church had a history of domestic violence and sent threatening text messages to his mother-in-law, a member of First Baptist, before the attack in which he fired at least 450 rounds at helpless worshippers, authorities said Monday. Weber reported from New Braunfels. Associated Press writers John Mone in Sutherland Springs, Nomaan Merchant in Houston and Diana Heidgerd in Dallas also contributed to this report.